Designers dig shades of the rich hue. The Americana fabric has it covered. Pencil in the classic men’s silhouette for spring. From top: Geox, Twisted X, SAS, Ugg, Propét, At right: Florsheim. 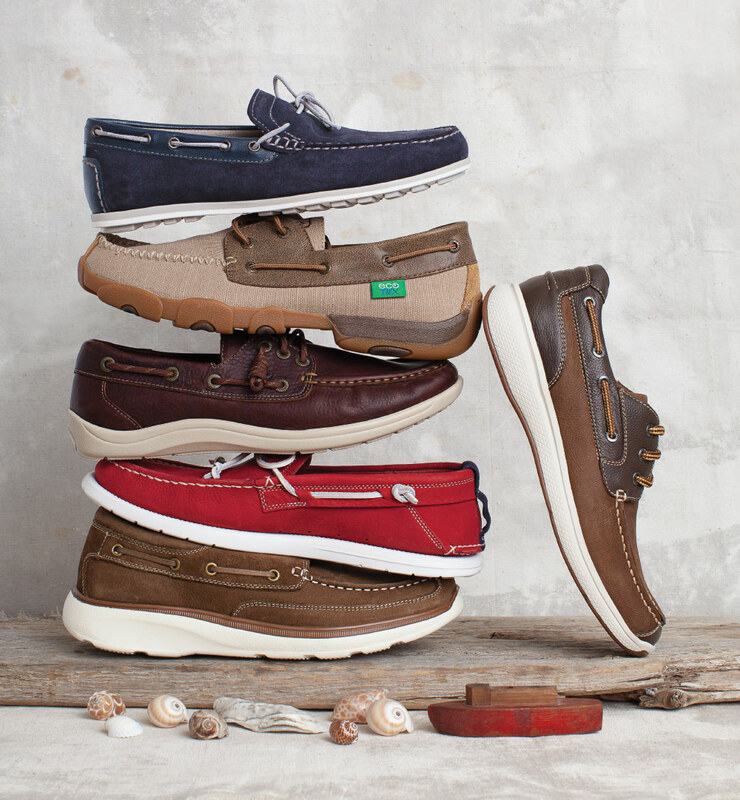 The classic summer staple comes in a range of silhouettes. 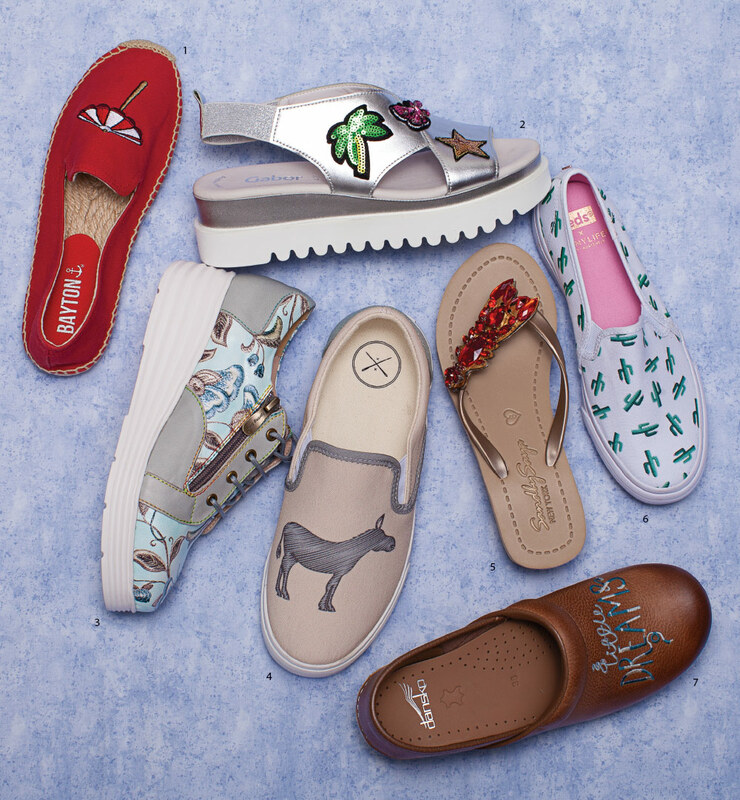 Cute graphics send a playful message. 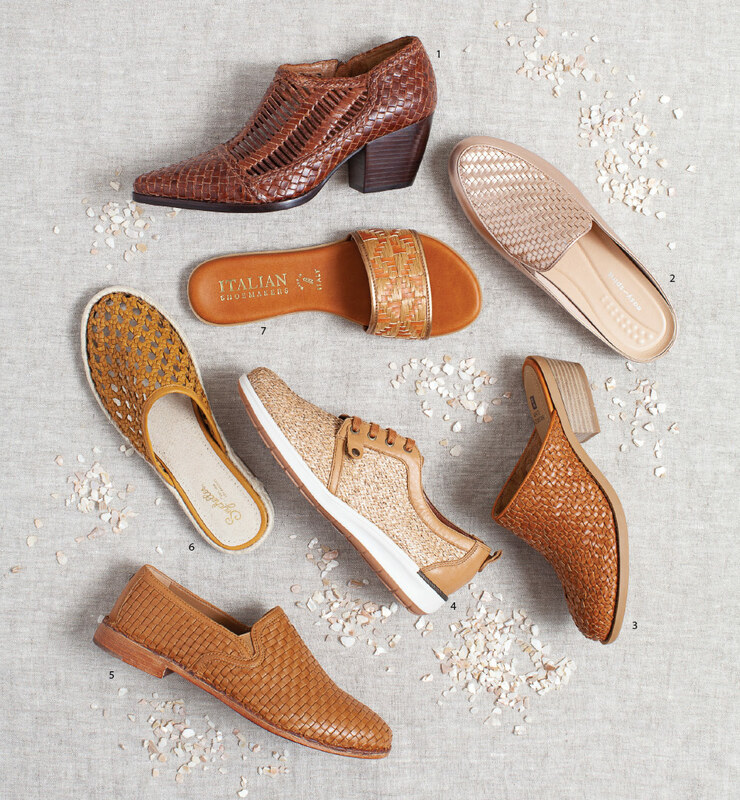 Woven uppers add a layer of texture and breathability. When a flip-flop or a slide just won’t get the job done. 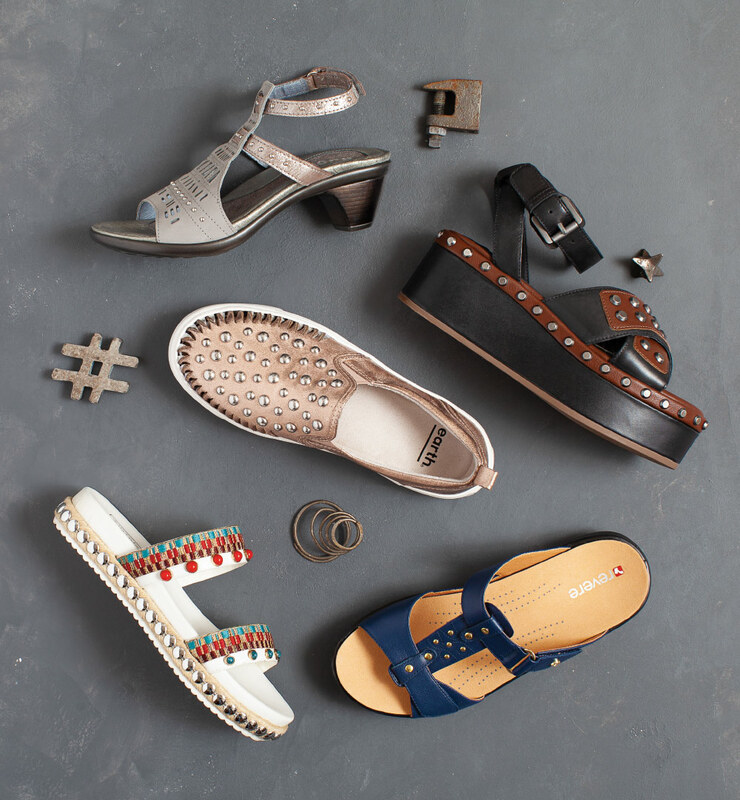 From top: Propét, Bearpaw, Jerusalem Sandals, Naot. Thick, slim and multi-colored, stripes are where designers draw the lines. 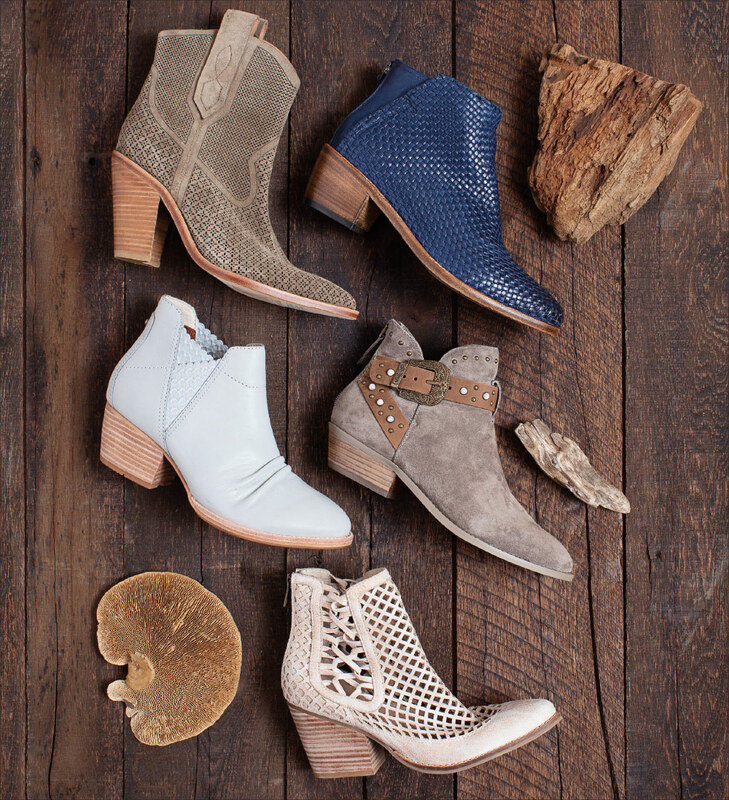 Western-inspired booties: a little strut without the full-on boot baggage. 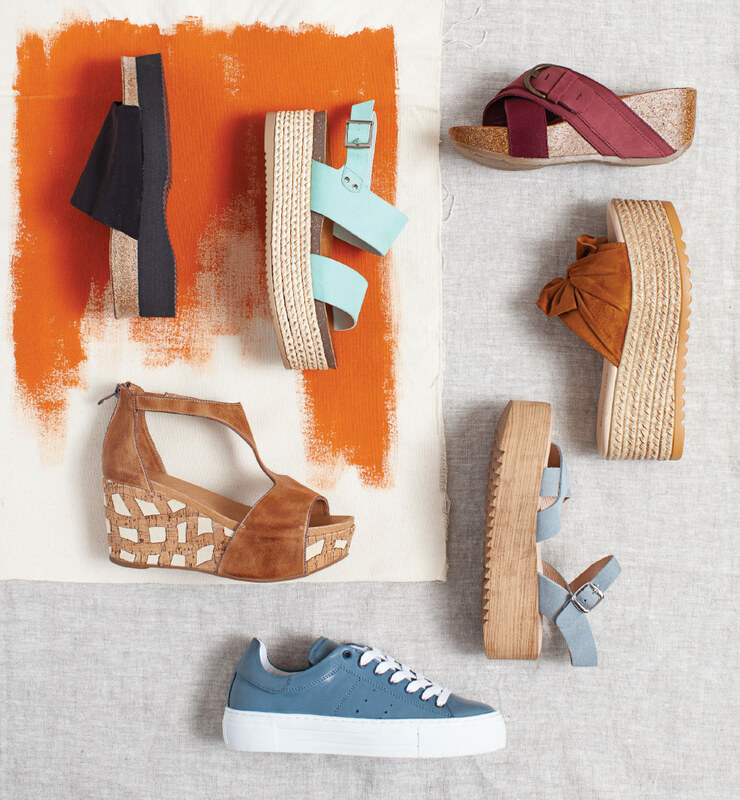 Clockwise from top left: Sigerson Morrison, Ron White, Nicole, Coconuts by Matisse, CAT. 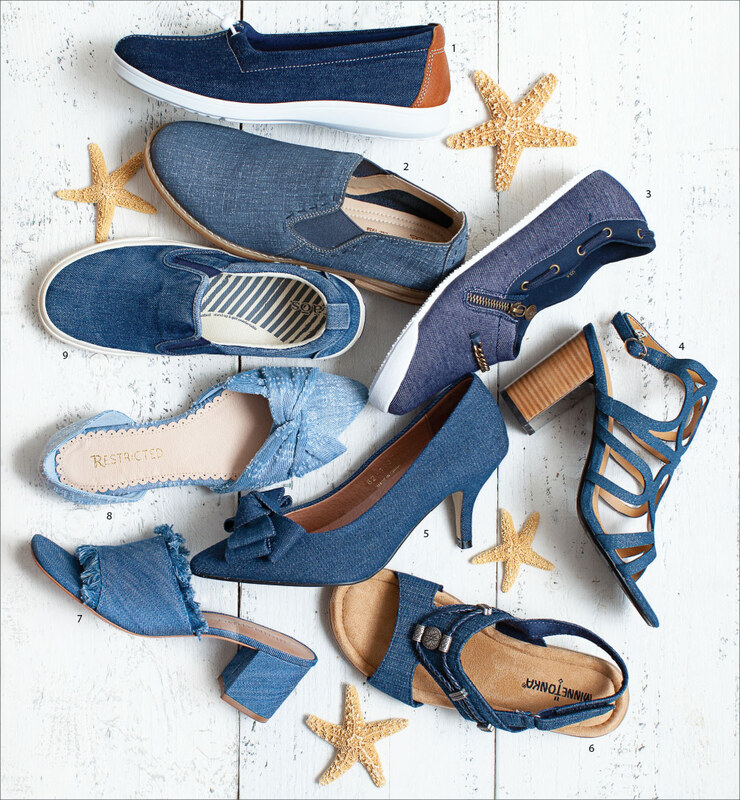 The summer staple comes in a range of heights, shapes and styles. 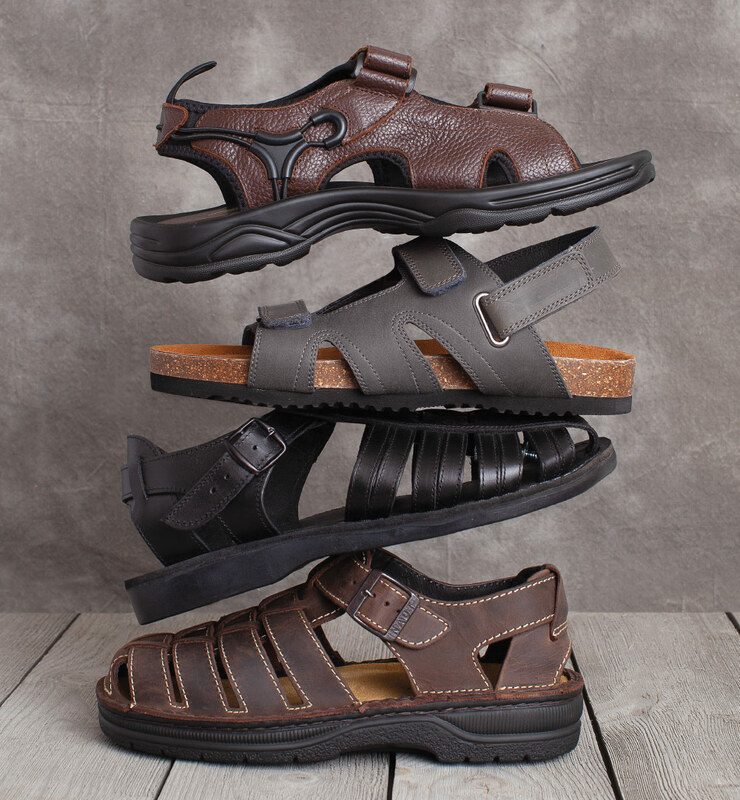 Clockwise from top left: Italian Shoemakers, SAS, BC, Geox, Antelope, Wolky, Propét. The embellishment adds that all-important finishing touch. Clockwise from top left: Restricted, Easy Spirit, Walking Cradles, J. Reneé, Bill Blass. Uber platforms raise the bar on style. 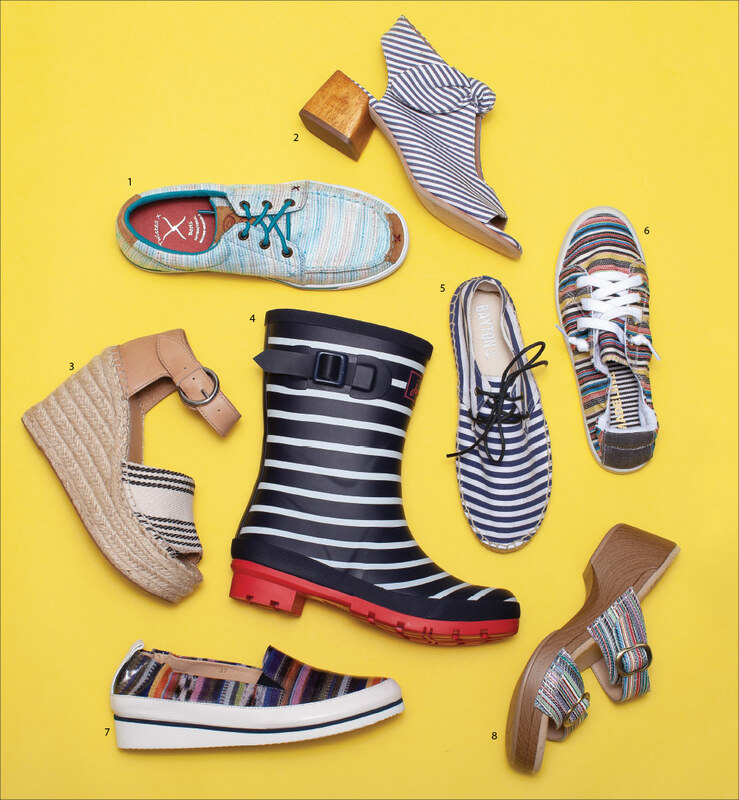 Clockwise from top left: Naot, Patrizia by Spring Step, Bearpaw, Restricted, Musse & Cloud, Bos & Co., Antelope. Studs add a dose of ’tude and texture. 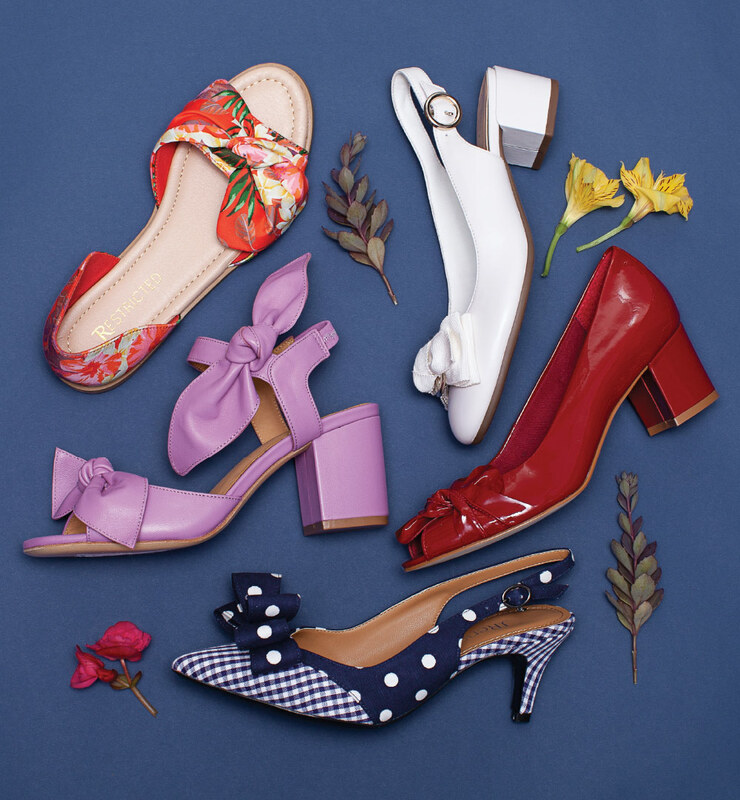 Clockwise from top: Naot, Geox, Earth, Revere, Patrizia by Spring Step. All-over perf patterns are holier than now. 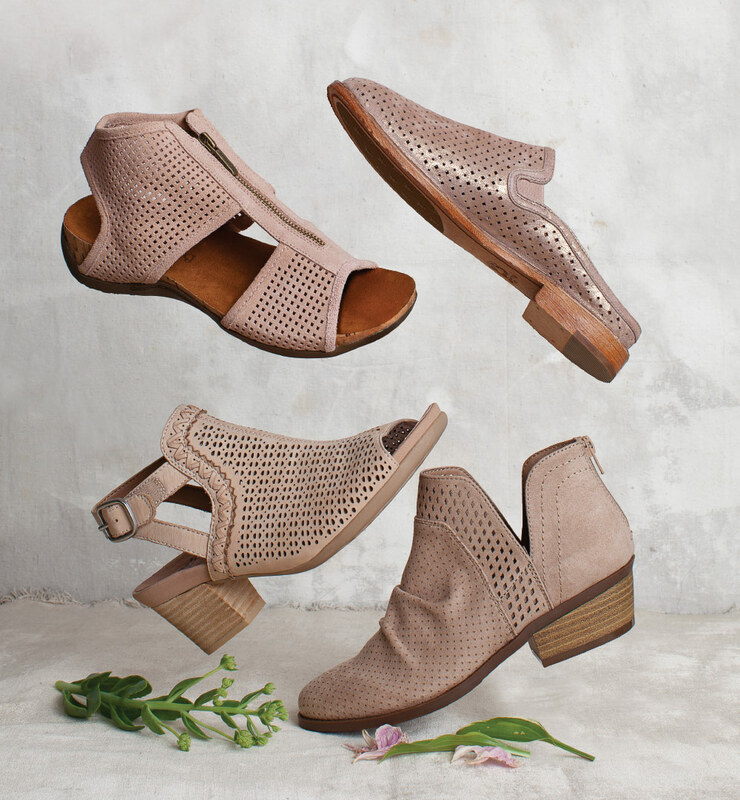 Clockwise from top left: Bearpaw, Trask, Madeline, Earth. Nature’s runner-up metallic shines bright for spring.